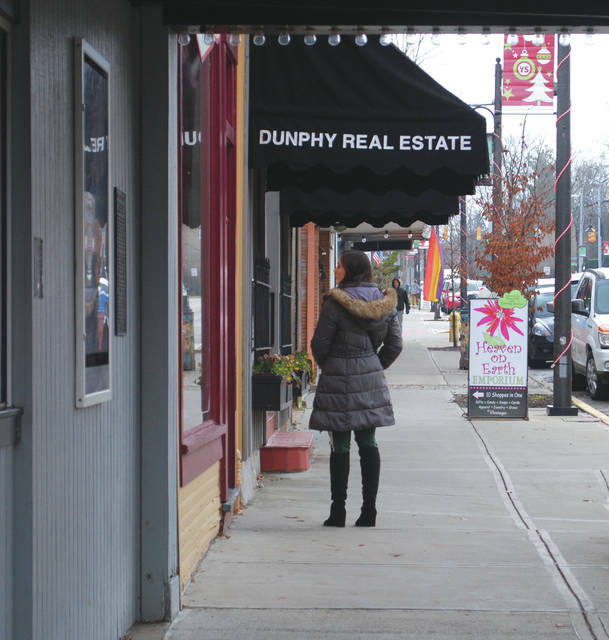 Whitney Vickers | Greene County News Small businesses throughout the Village of Yellow Springs will be participating in Small Business Saturday slated for Saturday, Nov. 24. YELLOW SPRINGS — The Village of Yellow Springs is getting into the holiday spirit with several upcoming events scheduled to highlight the season. Instead of “black Friday,” the village will host Yellow Friday on Friday, Nov. 23. 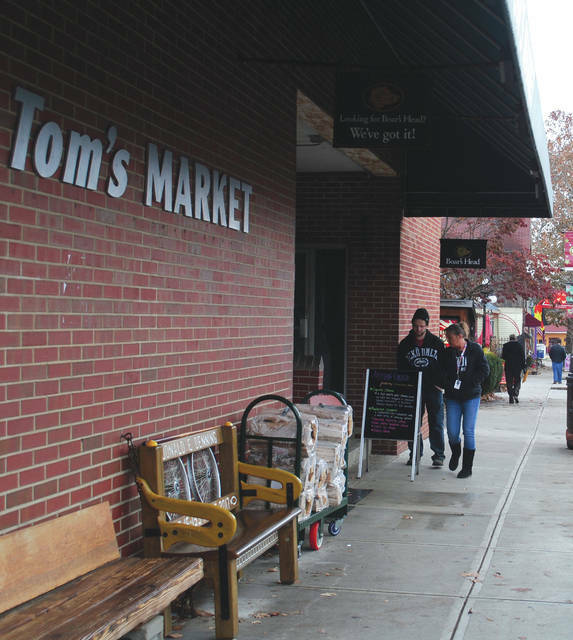 Holiday shopping will take place 10 a.m. to 6 p.m. in which several local Yellow Springs businesses will offer holiday deals. The Yellow Springs Arts Council will additionally host the Holiday Art Jumble at the gallery, 100 Corry St., with extended hours from 11 a.m. to 5 p.m.
Small Business Saturday in Yellow Springs will not only offer sales, but carriage rides through the village from 3-6 p.m. The village is also participating in Giving Tuesday on Tuesday, Nov. 27. Two dozen non-profits in Yellow Springs have joined forces to coordinate the cause. For more information visit https://ysgivingtuesday.org/. 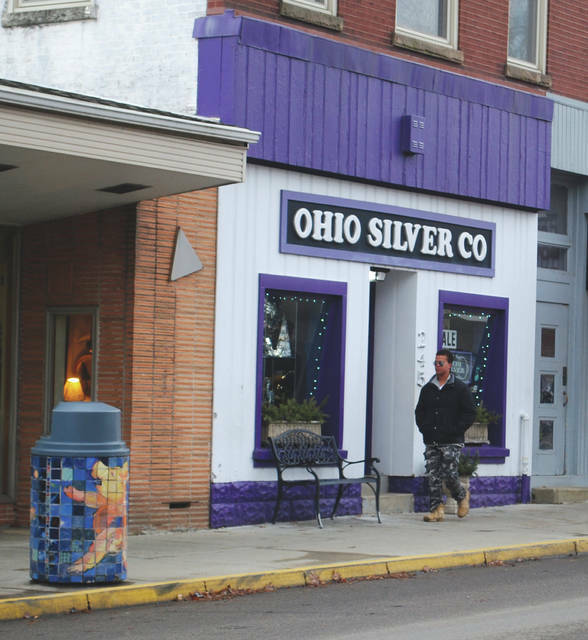 https://www.fairborndailyherald.com/wp-content/uploads/sites/50/2018/11/web1_smallbusi1.jpgWhitney Vickers | Greene County News Small businesses throughout the Village of Yellow Springs will be participating in Small Business Saturday slated for Saturday, Nov. 24.
https://www.fairborndailyherald.com/wp-content/uploads/sites/50/2018/11/web1_smallbusi2.jpgWhitney Vickers | Greene County News Small businesses throughout the Village of Yellow Springs will be participating in Small Business Saturday slated for Saturday, Nov. 24.
https://www.fairborndailyherald.com/wp-content/uploads/sites/50/2018/11/web1_smallbusi3.jpgWhitney Vickers | Greene County News Small businesses throughout the Village of Yellow Springs will be participating in Small Business Saturday slated for Saturday, Nov. 24.